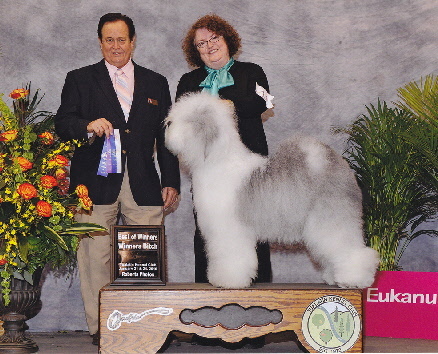 Faith finished her championship in style by going Best of Breed over specials for a three point major at the prestigious Seattle Kennel Club show. We would like to thank Bonny Lewis for handling Faith so expertly. 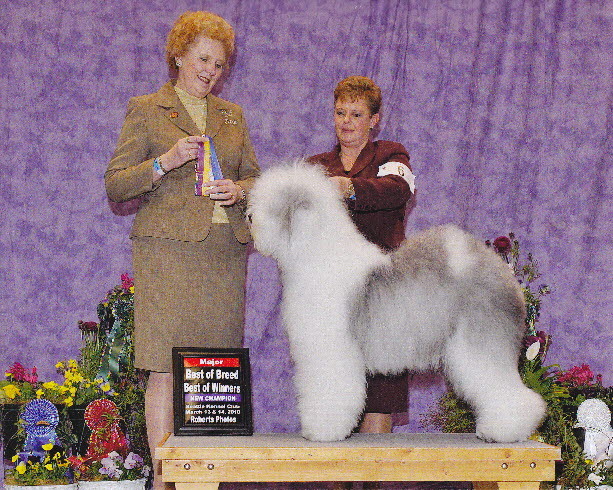 Ch SnowDowne Old Friends Are Best, her ROM. Faith has a very correct OES head, with lovely stop and a nice square muzzle and skull. She has her grandfather D.J.’s neck with an upright head carriage and beautiful front. On top of all this, she has an impeccable coat, with proper texture and color. 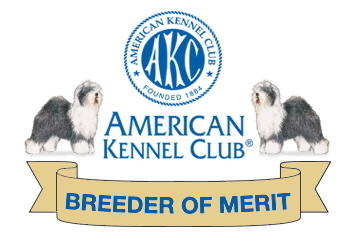 We are very proud of Faith and look forward to breeding her soon.